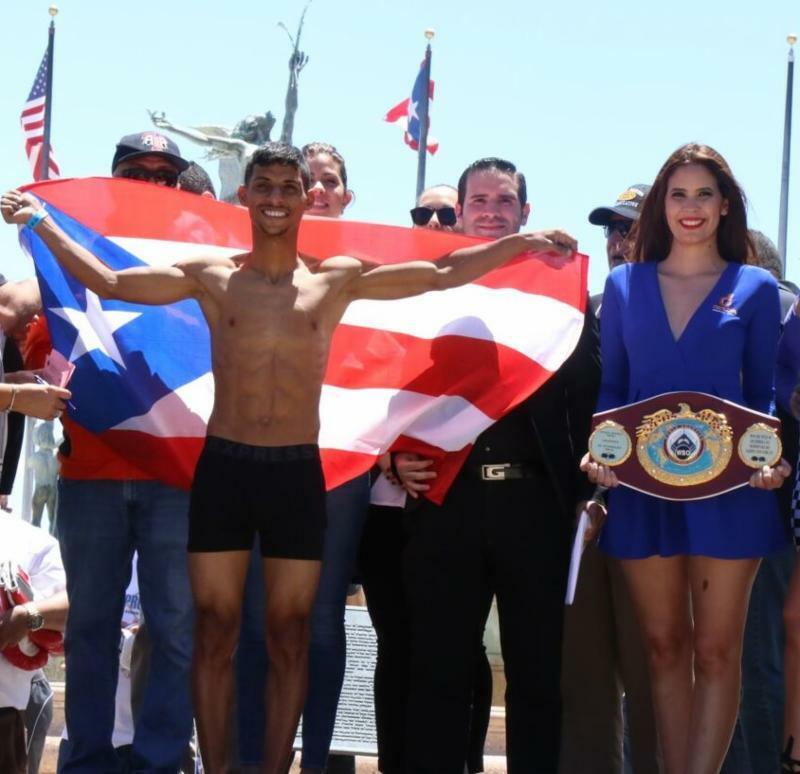 The official weigh in was held Friday for Saturday night’s 12-round main event between WBO Light Flyweight Champion Tito Acosta (17-1, 17 KOs) and challenger Carlos "Chocorroncito" Buitrago (30-3-1, 17 KOs), airing live on PPV from the Coliseo de Puerto Rico Center in Hato Rey, Puerto Rico. Tito Acosta (17-1, 17 KOs), Champion, San Juan, Puerto Rico 108 lbs. 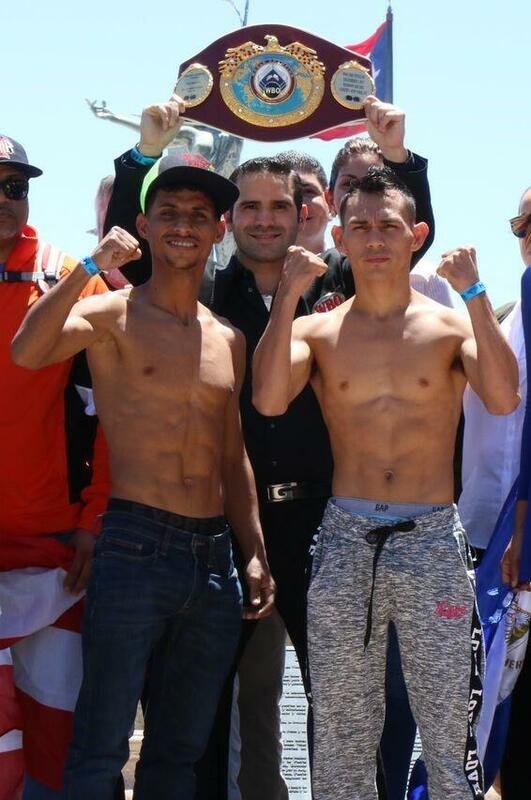 Carlos Buitrago (30-3-1, 17 KOs), Challenger, Managua, Nicaragua 107.2 lbs. Kevin Nieves (12-1-1, 5 KOs), Comerio, Puerto Rico 140 lbs. Jean C. Torres (10-0, 7 KOs), Trujillo Alto, Puerto Rico 139 lbs. Bryan Chevalier (9-1-1, 8 KOs), Bayamon, Puerto Rico 126 lbs. Ricardo Rodriguez (10-2-1, 6 KOs), Mayaguez, Puerto Rico 125 lbs. Edwin Valentin (4-0, 4 KOs), Salinas, Puerto Rico 130 lbs. Pedro Vincente (5-1, 2 KOs), Mayaguez, Puerto Rico 130 lbs. (all fights & fighters subject to change).